0000 Connecticut Dragway - $15.00 : Bob Hoyts Classic Inspection Stickers, Add a Final Touch to your Restoration! 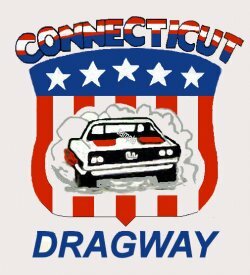 This Connecticut Dragway sticker is of the early 60's and back vintage. It has been digitally restored and reproduced directly from an original. It is done in a modern "peel and stick" format to adhere to the inside of your windshield.